I am joined today by author Sarah Scheele. I’ll confess, she is one of my new favorite writers, one of the reasons being her versatility. 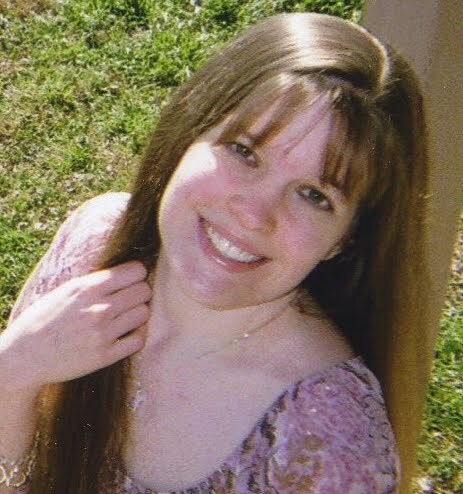 She is the author of Facets of Fantasy, a collection of five novellas covering practically all the genres within fantasy, and the new satire series American Homeschooler, downloadable for free. To start, tell me a little about your background. Well, I was homeschooled K-12 and am the oldest of four girls. I always wanted to be a writer, in fact I never considered any other career. I think the way I was educated allowed me to focus on writing from an early age and I appreciate my parents giving me the opportunity. My first book was published in 2008. American Homeschooler is my third project so far, and definitely my most ambitious. I’m really excited about it. First let’s talk about Facets of Fantasy. In this collection you have everything from sci-fi to the mythological. How did this collection come into being? Facets of Fantasy is aimed at teenagers, and I do use a wide variety of settings, both to avoid a feeling of sameness in the stories and to set off the different heroines. Imagining multiple worlds wasn’t that hard, though. The problem was organizing all the ideas into something coherent. I had always tried full-length novels, but the material just wouldn’t become structured. So I tried the novella approach, centering each story around one specific incident. I’m pleased with the way it turned out. You’ve called your newest series, American Homeschooler, the first novel made for Face Book. Explain that a little for us. Can people who aren’t on Face Book still read it? A lot of writers use Facebook to connect with readers, but American Homeschooler is the first work actually designed to appear through this network. It is serialized weekly on my public Facebook page rather than being traditionally published. This makes it easy for people to read it while they are already using the site. They can subscribe to the page for free. And yes, you absolutely can read it if you don’t have a Facebook account! The page is open to everyone, although some interactive features are available only to Facebook users. To read the first chapter of American Homeschooler, click here. American Homeschooler has been described as modern satire. How did you jump from fantasy to comedy? It wasn’t hard at all! In Facets there are several stories that are largely realistic except for being set in imaginary countries, so I’m comfortable not relying on fantasy devices. And satire, like all really good comedy, has a fantasy quality about it. It needs to be exaggerated to make its point. The only real change I made was to set the stories in our world instead of in imaginary ones. Much like you, the heroine is a from a Texas homeschool family with multiple daughters. I have to ask, is she a little autobiographical? Perhaps a little! The background you mentioned is very close to home. Not only Letty’s location and family situation, but her isolated lifestyle in the country, are very like my own upbringing. In a setting so like my own life there may be some parallels in Letty’s thoughts and feelings as well. But I didn’t intend American Homeschooler to be a story about my own experiences, and there are many parts of the story that aren’t autobiographical at all. You do a lot with the “new media” (Face Book, Blogs, Twitter, eBooks). Do see this as the future of book promotions? How about publishing in general? With the amount of time people spend on the Internet these days, I think the new media is well on its way to being the primary marketing tool for all the entertainment industries. For writers this is especially true. Even authors who get dream contracts with huge publishers would be very foolish not to have a socially active persona on the web. Ebooks are also becoming a vital promo tool. I do not think ebooks will replace print media anytime soon. In fact, I have already received queries from people asking if American Homeschooler is available as a ‘real’ book! But I think authors increasingly advertise their print book by putting an ebook online. In the meantime, Sarah has a lot of links for you should definitely check out. -Then hop on over to Sarah’s Face Book Page to check out more of American Homeschooler. 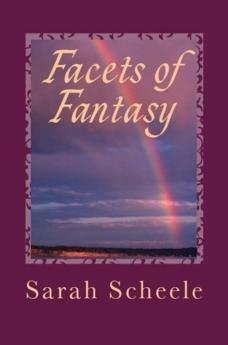 –Facet’s of Fantasy is now available in Traditional Print and eBook. Check it out! < Previous New book signing AND what’s up and coming. Thanks Sarah and Emily, great interview. It's always interesting to read the insights of other writers. Very innovative to post your book on FB, with such a large audience on that network at all times. I'd imagine the story is reaching many people that way! This is great! Thanks for the interview! This is an excellent interview–and very inspiring, from a fellow homeschooler working on her own fantasy writing twists. ^_^ Kudos to you both!